Happy Sunday Friends! I hope you all are having a wonderful afternoon. Around here, we are relaxing a bit before heading out the pumpkin patch. I am totally excited to go find our pumpkins and enjoy this beautiful day with Scott and Jackson. Actually, they have been out and about today already. They went shopping @ Walmart, Got some new fish at Petsmart, and Jackson also got a haircut. Thankfully, I got to sleep in when the boys were out on the town. I wasn't feeling that good last night either and it took me a long while to drift off to sleep...but sleeping in today really helped. I am totally excited to be heading out the pumpkin patch today! Fall is in full swing not only outside, but in our home as well, with the house all decorated now for Halloween, one of my favorite holidays! Something about the magic of it all speaks to me even though my costume and trick-or-treating days have long passed. 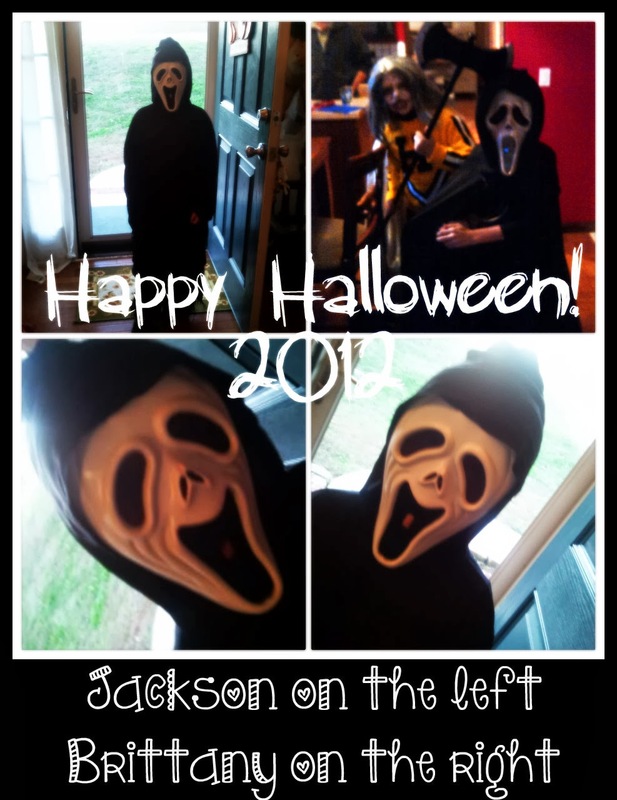 There is no telling how many kids at our door on Halloween night. Scott normally thinks it’s so fun to hand out candy and see all of the creative costumes, however Jackson is doing it this year. I cannot believe he doesn't want to go trick or treating. I wish I would have known sooner that last year was the end. Gosh, the kids are growing up fast. October is also when the leaves really change and the fall chill becomes more noticeable even though the weather is usually quite pleasant. The return of hot apple cider, homemade soup, and fresh roasted pumpkin seeds makes October all the more delightful! It such a wonderful time of year. I have just been taking it all in. I really like Halloween and Thanksgiving much more than Christmas. Really, I do. Anyway, we are having a family day at the pumpkin patch in just a bit....totally exciting!